Maryland Gov. Larry Hogan is calling on Attorney General Brian Frosh to sue the Federal Aviation Administration over noise coming from planes taking off and landing at BWI-Marshall and Regan National airports. WASHINGTON — Maryland Gov. Larry Hogan is calling on Attorney General Brian Frosh to sue the Federal Aviation Administration over airport noise. The complaints Hogan cited echo those lodged by Montgomery County residents in neighborhoods in Potomac and Bethesda who appealed to local leaders — including County Council President Roger Berliner — in September of last year. 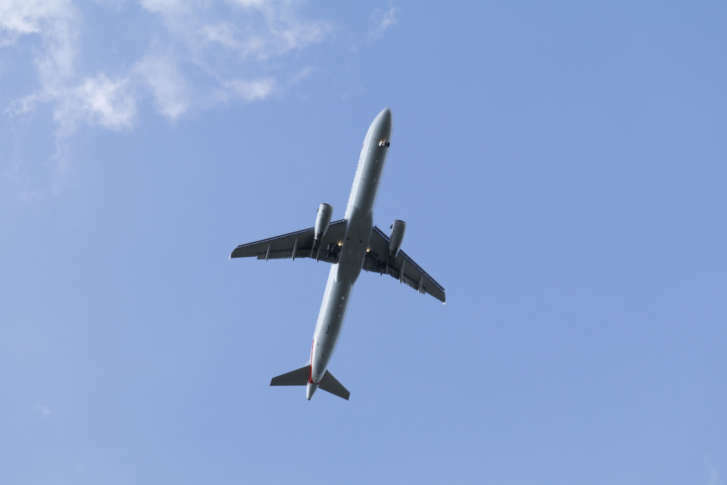 Janelle Wright, a Potomac resident and co-chair of the policy committee for the Montgomery County Quiet Skies Coalition, said she noticed a marked change in the noise and pattern of air traffic above her house last summer. Wright said her home is in the path of arrivals and departures and she hears jets roughly every three minutes at some points of the day. In June of this year, Montgomery County officials set aside up to $7,500 to hire a law firm to investigate a legal challenge to the FAA’s decision to implement NextGen. Part of what’s being examined is whether the FAA analyzed the environmental impacts of the changes it instituted. Tammy Jones, with the FAA Office of Communications, said in a statement to WTOP that “The FAA is committed to hearing the communities’ concerns.” In an Aug. 3 letter to Hogan, FAA Administrator Michael Huerta wrote that some of the changes at the FAA, including NextGen, were part of a directive from Congress to modernize air traffic operations.